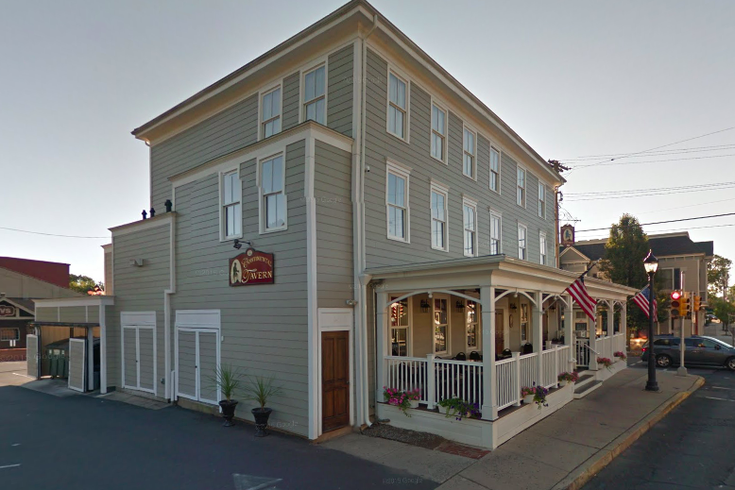 The Continental Tavern at 2 N. Main St. in Yardley, Pennsylvania, was a location of a stop on the Underground Railroad. An alleged drunken driver crashed into a Bucks County tavern, damaging a landmark whose history stretches back to the Underground Railroad, Yardley police said. The Continental Tavern, located in Yardley's Historic District, posted about the incident on Facebook, noting the impact from the vehicle caused "significant damage" to the porch of the building at 2 N. Main St.
Police arrested 22-year-old Joey Buchter, of Stevens, Lancaster County, and charged him with drunken driving, reckless endangerment, speeding and careless driving, according to the Associated Press. The current owners of the restaurant purchased the property in 2007 and revealed its previously undiscovered historical importance. During construction of the tavern, workers found a secret basement chamber underneath the kitchen. The building itself dates back to 1860, a year before the start of the Civil War. When crews found various artifacts including alcohol bottles, apothecary items, figurines and personal care products, the site became an archaeological dig. The discovery of newspapers, license plates and a hidden tunnel among the artifacts enabled historians to connect the chamber — which is just 4 feet high from floor to ceiling — to the Underground Railroad. A gallery of artifacts collected from the dig can be viewed here. The Continental Tavern will remain open during repairs, the owners said. "We are proud of how professionally our staff handled the emergency, and are thankful that none of our wonderful patrons were injured," the restaurant wrote on Facebook. A preliminary hearing for Buchter is scheduled for April 25.